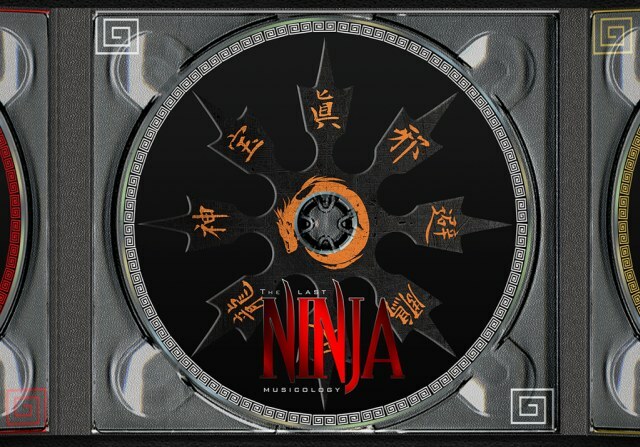 Get ready to head bang as we've just been informed by C64Audio of a brand new Kickstarter that takes the retro of ' The Last Ninja ' and turns it into a triple music album of rock and metal. This is ' The Last Ninja Musicology C64 Album, created by FastLoaders and sponsored by C64Audio.com, the same sponsors behind the incredible sounding Back in Time Symphonic C64 Collection! With 31 days still to go and only £6,712 pledged of a £25,000 goal so far, The Last Ninja Musicology C64 is a triple album with rock/metal cover remixes of all the music themes from that incredible C64 retro gaming trilogy "The Last Ninja", plus a live concert and concert Blu-Ray. This album will be professionally redone by musicians on real instruments such as guitar and drums, and will be from the entire gaming series such as The Last Ninja, Last Ninja 2 and Last Ninja 3. In fact according to the team behind this ear blasting ballad, two of the best tracks from Ninja Remix have been included. plus 34 tracks, which comes to around 2 and a half hours of music. But if getting the CD in your hands isn't enough and you really feel like you want to be a part of this project, you can pledge £20 or more and listen live at the world-famous Underworld Club in London on October 15th 2016 for the Ninja concert. So hey you may even be lucky and appear on the concert Blu-Ray, just make sure to head bang ALOT! And that's just a small part to this incredible Kickstarter, so if the symphony orchestra was too soft and made you feel way too chilled out, it may be worth looking into ' The Last Ninja Musicology C64 Album ' for the ultimate retro gaming head banging experience.